IT'S an odd quirk of the 2018 NAB AFL Women's Draft, but it could be argued the club considered the most successful in producing players won't even enter the competition until 2020. The Southern Saints are St Kilda's VFL Women's team, and the Peta Searle-coached side produced six AFLW draftees in a promising sign for the club's player development ahead of its likely 2020 AFLW entry. Ruck Rhiannon Watt is off to Carlton, key defender Selena Karlson joins reigning premiers the Western Bulldogs, while key forward Courteney Munn is now a Kangaroo. Three under-18s spent time at the Saints before being drafted. Running defender/winger Eleanor Brown bolted to pick No.10 and will join Karlson at the Dogs, Charlotte Wilson is set to fill a key defensive post at Carlton and small forward/winger Shelley Heath is with Melbourne. Alison Drennan – who shared the club's best and fairest with Watt – was previously signed by North Melbourne as an open-age player during the expansion club signing period, taking the club's overall AFLW haul to seven. Geelong's VFLW side also had six players drafted – by the club’s AFLW team. The Saints finished eighth of 13 in this year's VFLW season with five wins, the young squad tiring late in the season. Drennan and Watt were named in the VFLW team of the year; Drennan on the wing and Watt as the starting ruck. St Kilda's head of emerging football programs Jamie Cox told saints.com.au the draft haul was a promising sign for the future. "It's just brilliant to see all the girls' hard work paying off," Cox said. "But it's also a credit to Peta Searle, (assistant coach) Nathan Burke and the whole team who have thrown their weight behind the women's program. 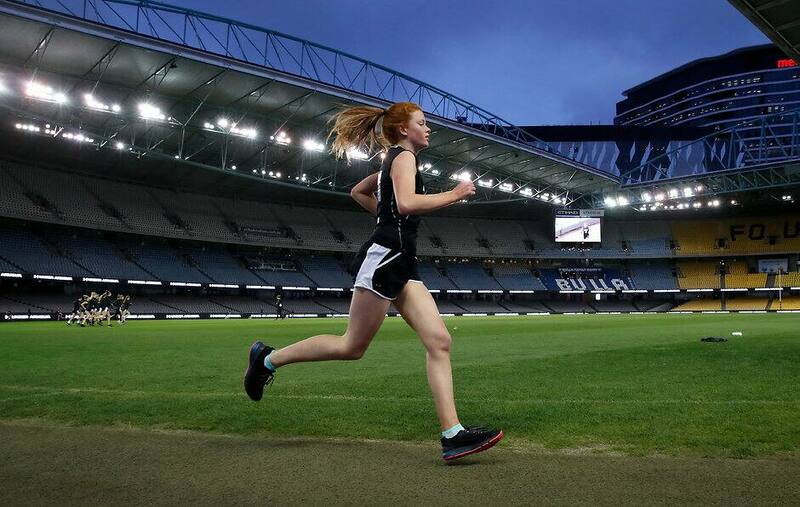 "To have six girls taken in the draft, as well as Ali Drennan having already signed up with North Melbourne, is a pretty good indication we're heading in the right direction." The Southern Saints recently announced they will align with the Sandringham Zebras (St Kilda's VFL-aligned club), with this year's VFLW partner Frankston Dolphins choosing to focus on its men's side in the short-term. Most of the Saints’ home games will be played at Sandringham's home ground, Trevor Barker Beach Oval, with some at St Kilda's base, RSEA Park in Moorabbin. Sixty-eight players were drafted by the 10 AFLW teams – here are breakdowns of their origins (states and territories and in the case of one player, their country), and the clubs they played for in 2018. Some players are counted twice, having played in two different top-level competitions this year (e.g TAC Cup and VFLW, SANFLW or SAWFL).